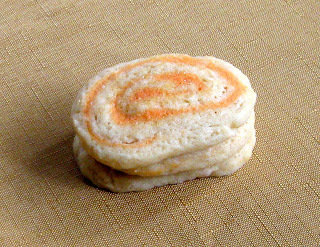 Orange pinwheel cookies are the perfect addition to a Halloween party dessert tray. 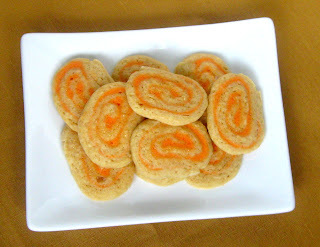 They have a hint of orange flavor and for a second I almost called them Spooky Orange Cookies because of their swirls. I've been working a lot on Christmas themed treats lately and I figured since it was October and all that I should probably come up with some fun Halloween desserts. Cookies definitely travel the best and are the easiest to take to friends. They're also already individual and don't need cutting, like a cake. Although I do love cake. You could of course make these any color you want to in the middle, green may be fun. 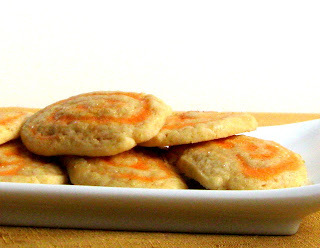 You could also just use vanilla extract in the cookie and the filling and just have the orange color. There are all sorts of wild things you could try. As I was munching on them I was thinking some orange zest in the filling would be nice also. I feel like I share recipes but then tell you 528 other ways to make the recipe but I like to share ideas on ways that the desserts would be easy to customize. Hope you don't mind :). Happy Baking! 1. In a mixer beat the butter and sugars for about 1 minute until fluffy. Add the eggs, one at a time, mixing in between. Add the extract. Add the flour, baking powder, and salt. Mix until blended completely. Wrap in plastic and chill dough for one hour. 2. Before you are ready to take the dough out of the refrigerator make the filling. In a small bowl using a whisk mix together all of the filling ingredients until smooth and completely blended, set aside. 3. Roll out the dough from the refrigerator into a rectangle about ¼” thick on a lightly floured surface. Spread the filling onto the rolled out dough. Starting with the long side facing you gently roll the dough up. Cut the log into two pieces and wrap in plastic wrap. Refrigerate for one hour or more. The longer the refrigerate the dough the easier it will be to cut. 4. Preheat oven to 350F. Remove one log from the refrigerator and cut into ¼” thick slices. You should cut about 24 cookies out of each smaller log. 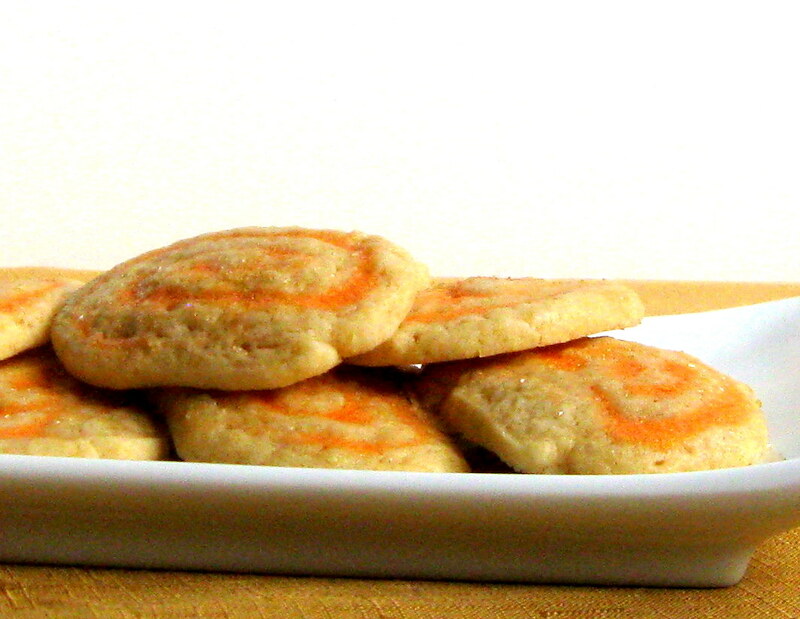 Place the dough on a cookie sheet, they will spread a little, and baker for 10-11 minutes or until light golden brown. Cool on a wire rack.